So I was recently chatting with someone who suggested I should review more main stream bottlings that are bottled by the distilleries, rather than ultra expensive malts that are either limited release, or other malts bottled by independent bottlers. 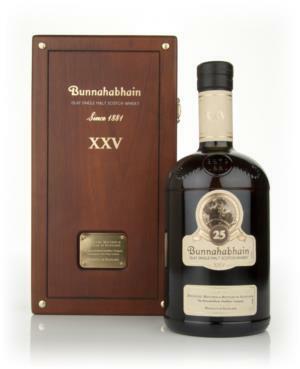 So with that in mind I’m starting with this Bunna 25… it’s a distillery bottled whisky, and although it’s right at the top end of the range and probably not entirely affordable it’s at least a start! Colour: Deep and dark golden orange copper. This is natural colour at it’s best. Nose: Sherry, sherry and more sherry! Sweet, thick Pedro Ximenez type sherry (it might not be, but that’s my guess for today) with whiffs of smoke, slight rubber notes, shovelfuls of malt and a hint of coal. Palate: Thick, sweet, gentle and old. The palate carries on from the nose with lashings of flavour, deep PX sherry sweetness intertwined with malt and touches of smoke. Some nuttiness mixed with some slight rubbery tones, becomes quite spicy after a while. Finish: Smooooth, sweet and long. Thoughts: What a dram, it’s huuuge, deep and old. If you’re not a total sherry head then it might be slightly shocking / lost on you at first, but stick with it because it’s awesome. One of my favourite distilleries, has many varied styles all of which I love. 94. My own sample (a bottle share with friends). 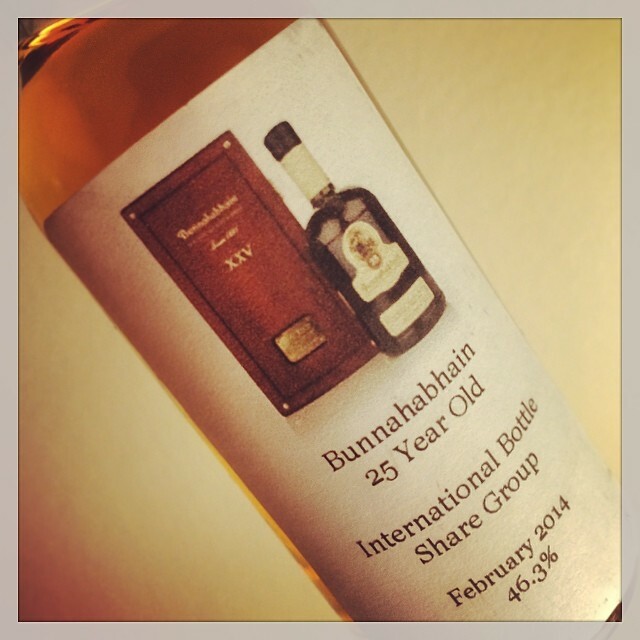 This entry was posted in Review, Whisky and tagged Bunnahabhain. Bookmark the permalink.